Inhabiting the Kunene region (previously Kaokoland), and Damaraland of northern Namibia and the other side of the Kunene River in Angola, the Himba are a semi-nomadic, pastoral tribe that speak the language, OtjiHimba. 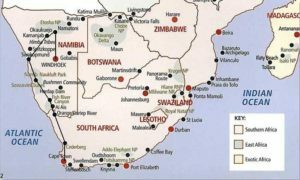 The tribe originally belonged to a group of Herero herders. 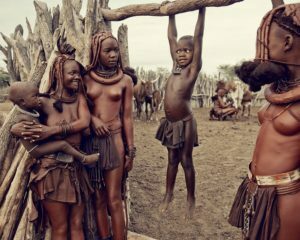 Thus, early in the 16th century, when, after crossing the Angolan borders, they decided to settle in Kaokoland, the name “Himba” had not been coined yet. In Kaokoland, the tribe survived two terrible disasters – a deadly genocide, organized by German colonial authorities led by Lothar von Trotha, and a bovine epidemic that resulted in a widespread annihilation of the most important source of their livelihood – cattle. Their main occupation is livestock farming, often involving breeding of fat-tailed sheep and goats. They have multiple wives so as to have more children to help with their livestock. As a result, sexual diseases such as AIDS are quite common. Both girls and boys are circumcised before they reach puberty, as they are married off at an early age. 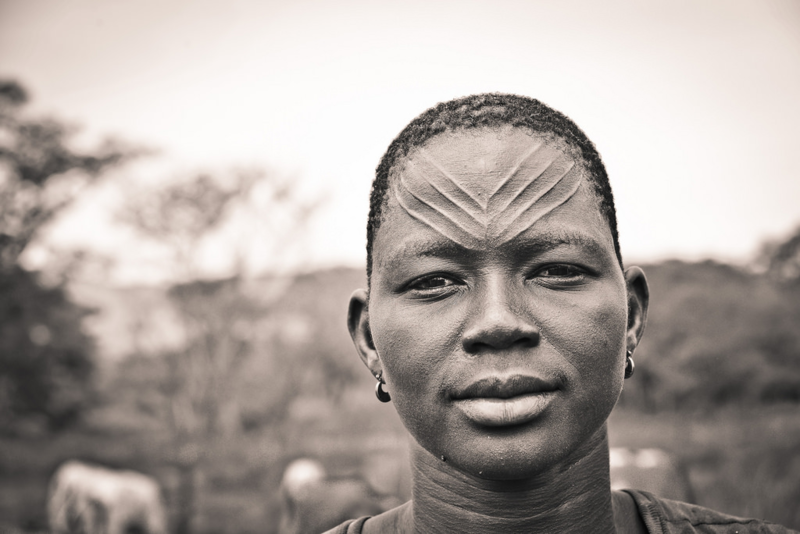 According to anthropologists, their system of bilateral descent or the norm of belonging to two clans – the “patriclan” (through the father) and “matriclan” (through the mother), allows the sons to reside with their father’s clan and the girls to live with their husband’s clan after getting married. Their cone shaped houses are made of mud, cow dung and mopane trees to withstand the extremes of temperature in their native lands. 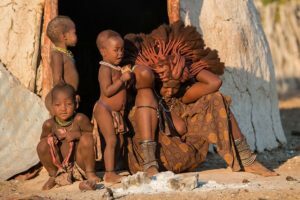 The tribe’s main food is porridge, made from either maize or mahangu flour. They also prefer milk, eggs, cornmeal, and on rare occasions, meat. It is relevant to note that women and girls do more strenuous work than men, including chores like collecting firewood and plastering their homes with a traditional mixture of cow manure binder and red clay soil. Men on their part attend matters such as holding councils, herding, and slaughtering animals that force them to stay away from family for much time. Unfortunately, women usually have a poor life expectancy of only up to forty five years, ten years lower than that of men. 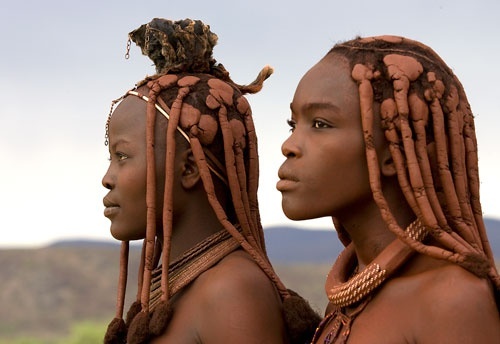 The tall and slender Himba women sport unique hairstyles that are complicated and require hours of preparation. It involves braiding her hair and covering it in an unusual mixture of butter and ochre. 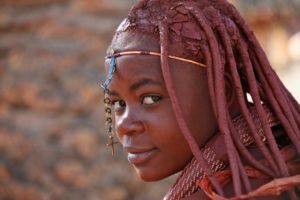 However, as long as she is a girl, she is entitled to make only two braids, which generally becomes more, once she gets married. After she gives birth to a child, there is another addition to her hairstyle, which constitutes an ornamented headdress made of animal skin. Single Himba men make only one braid, while after getting married, they tie their hair in the form of a turban. 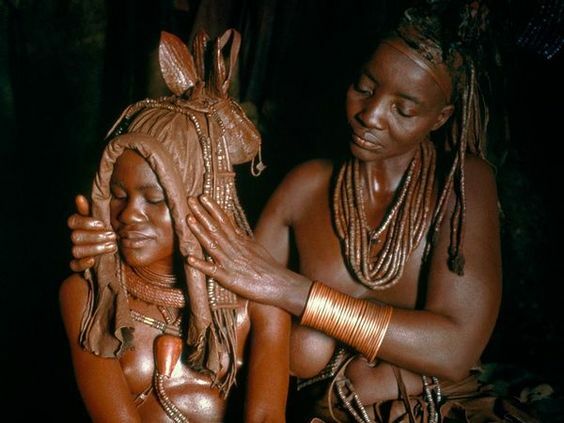 To get protection from the sun, women use butter, ochre, and mud to prepare a paste (otjize) that on being applied to the skin, gives them a reddish hue, symbolizing the significant unification of the earth’s red color and blood. 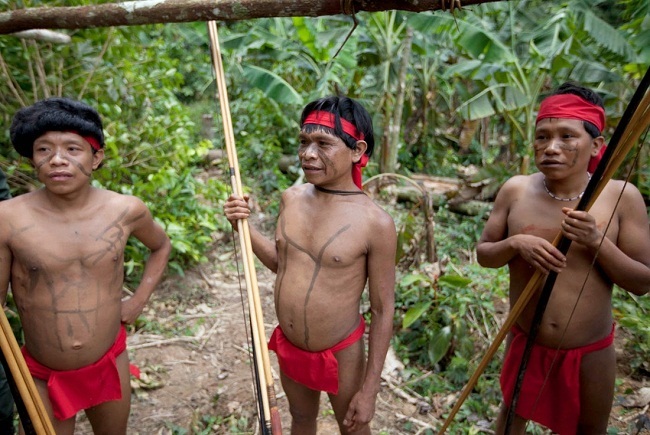 They paint their bodies twice a day and are proud of the beautiful red glow they imbibe. Besides this, they also mix otjize with local plants and shrubs to make a refreshing perfume. A noteworthy feature of these women is, not being permitted to use water for washing, they undertake a smoke bath daily. The reason behind this custom probably traces back to the days of the great droughts, when due to water scarcity, only men enjoyed the privilege of washing themselves. Men wear loincloths and put on sandals for footwear. Women, on the other hand, wear skirt like dresses that are made from calf skin and remain bare-breasted throughout their lives. Other than their unique hairstyle, the social status and importance of an individual also rests upon the jewelry they flaunt. Significantly, cone shell of the main necklace of a married woman stands for marriage. 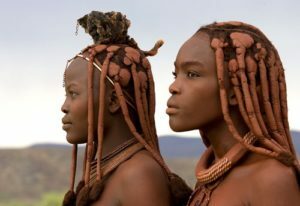 They also put on an elaborate headpiece known as an Erembe, made from sheepskin, and cover their ankles with iron bracelets. 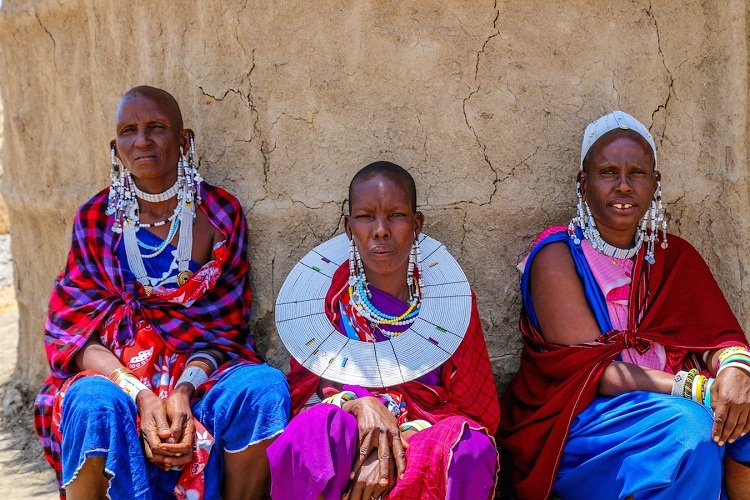 Every morning, to communicate with their god, they light a holy fire called Okuruwo, that located between the Kraal (cattle enclosure) and the main hut of the chief, represents their ancestors. As the smoke rises towards heaven, they can correspond with their ancestors through their Supreme Being, Mukuru. A person in every family in the village acts as the fire keeper, whenever the Mukuru is not assessable. To celebrate this fire, women often get engaged in vigorous dances that involve a lot of clapping and jumping. This is another remarkable ritual that is earnestly pursued by these people. Much before a woman conceives, she is expected to hear the song of her unborn child, and after hearing it, she has to teach it to the child’s father so that during mating, they may sing together to welcome the unborn child. This birth song is then sung during all significant developmental phases of the child. 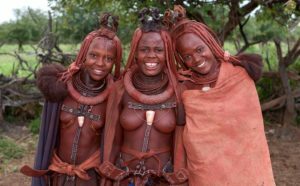 In recent times, the Namibian Government’s plans to construct the hydroelectric Epupa dam on the Cunene River has been opposed by the Himba community, on the grounds that after the construction, their ancestral lands would get flooded, thereby destroying their pastoral way of life. 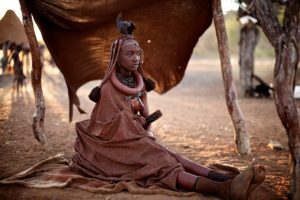 The Himba leaders are also discontented about the permanent schools set up by the Namibian government, since they contend that the culturally inappropriate educational system is a potential threat to their identity. 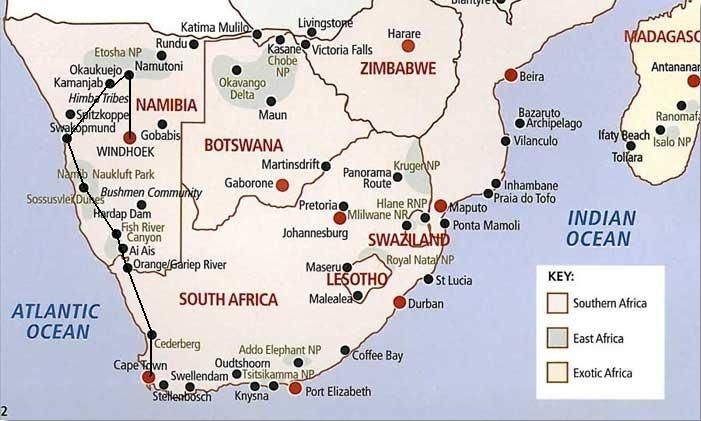 Nonetheless, their independent lifestyle is being threatened by another serious factor – the tribe’s unscrupulous exchanging of its livestock for alcohol from traders coming from both Namibia and Angola.